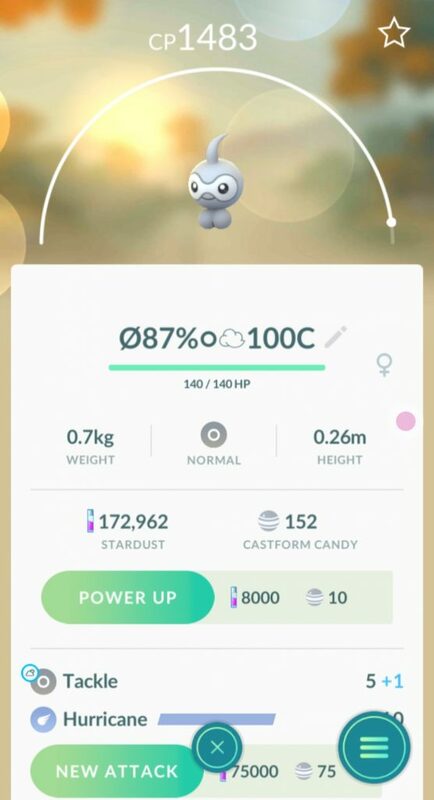 I just discovered that i have 4 types of Castform Pokémon in my bag. 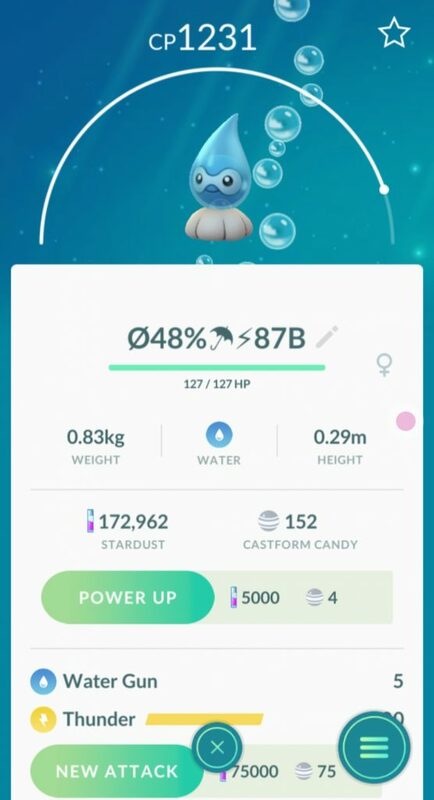 So somewhere along our walks i caught 4 different kind of Castform Pokémon and even did not notice. 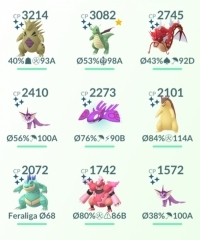 I don’t post all our daily walk anymore, it is too busy at work at the moment and then I have little time update the site during the day. 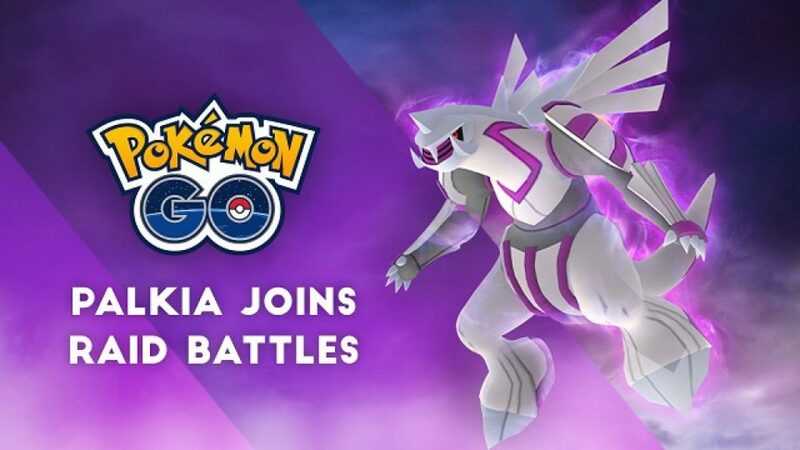 Anyway, almost a new month so we have a new raid boss Palkia. 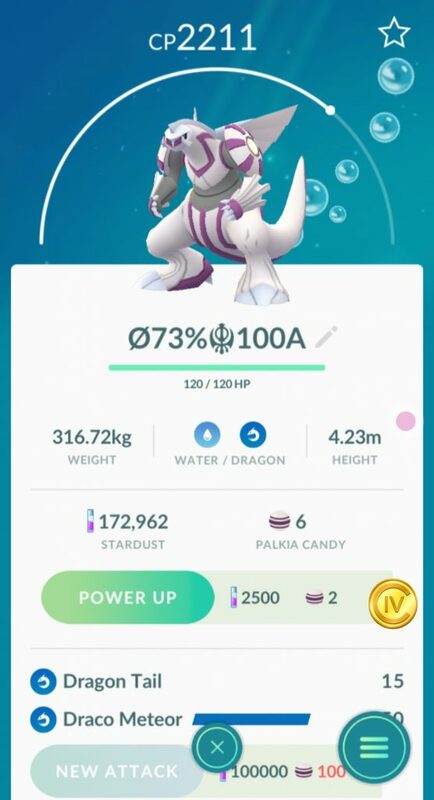 Palkia a legendary, water and dragon type Pokemon, will be available in raid battles throughout February. 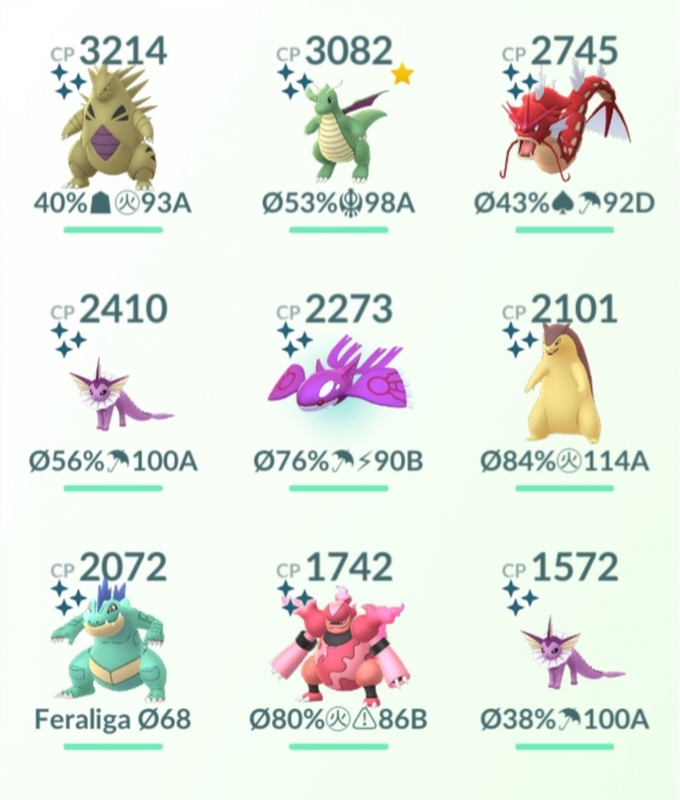 Palkia is weak against dragon and fairy-type moves. 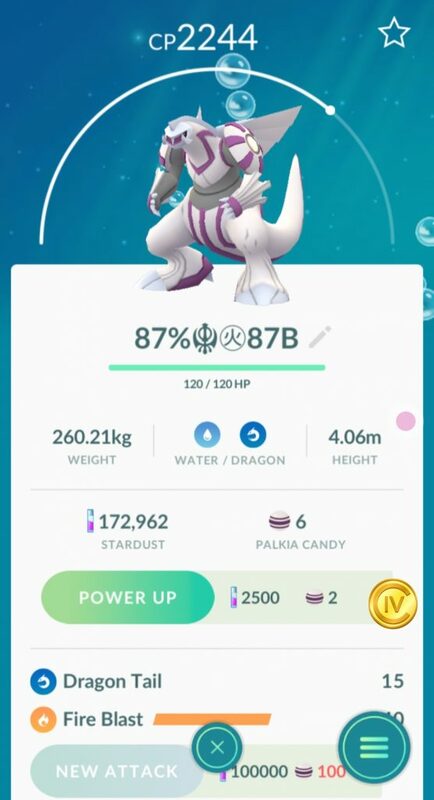 Palkia, as a dragon and water-type itself, is strong against fire, steel and water-types of Pokemon. 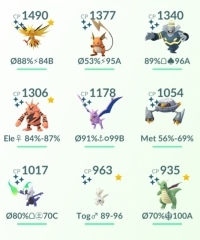 There are some other Trainers that are going to become best friends, in the next few days (list below). 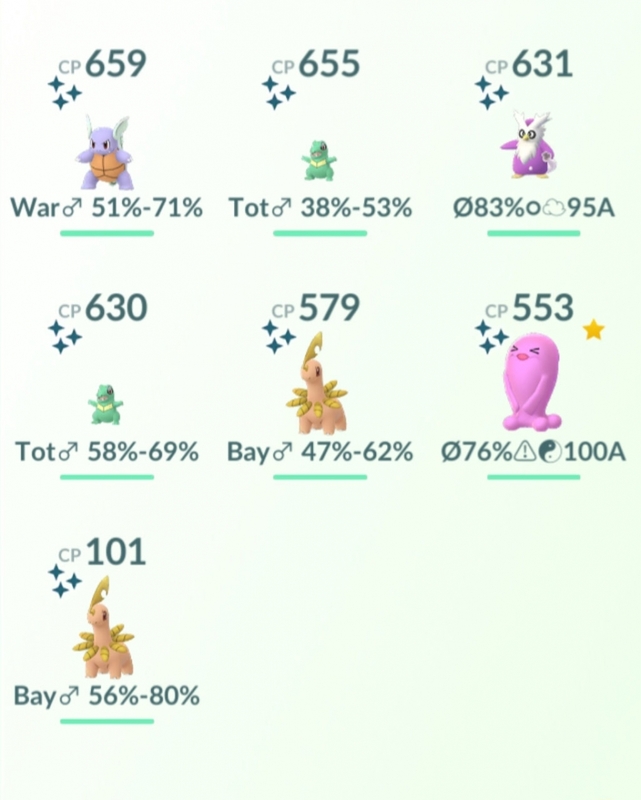 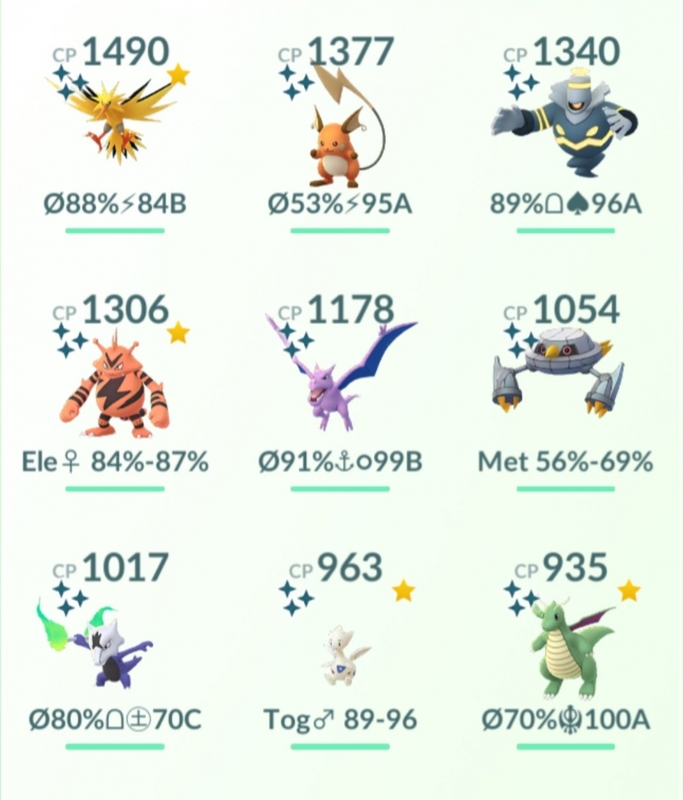 These trainers I would like to get to “Best friend” on the next community day on 16/02. 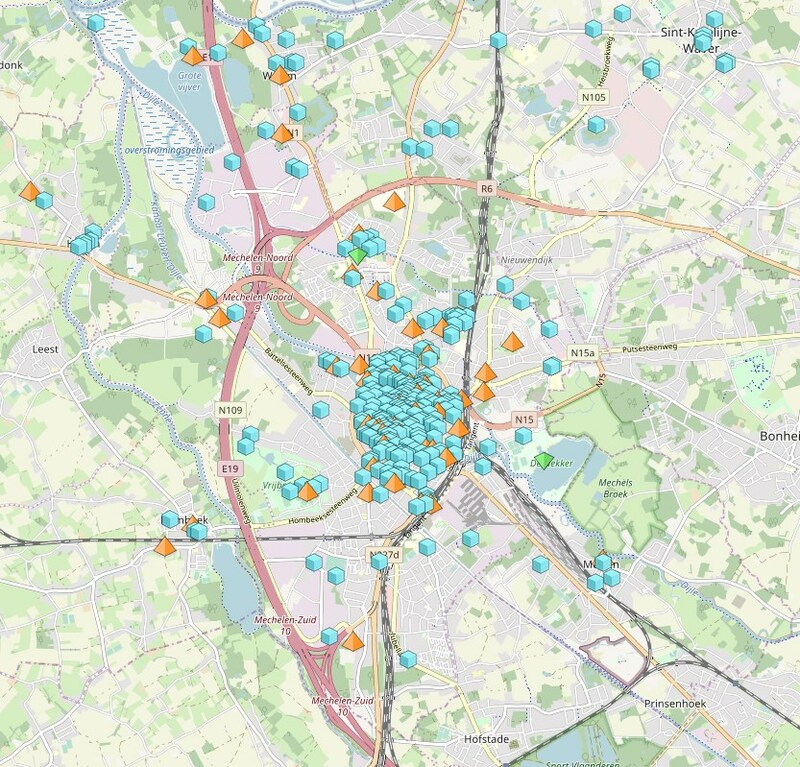 I was looking for a map of all Gyms in and near Mechelen, did not find any suitable map, so i started updating a map if found, below the link for Mechelen area. 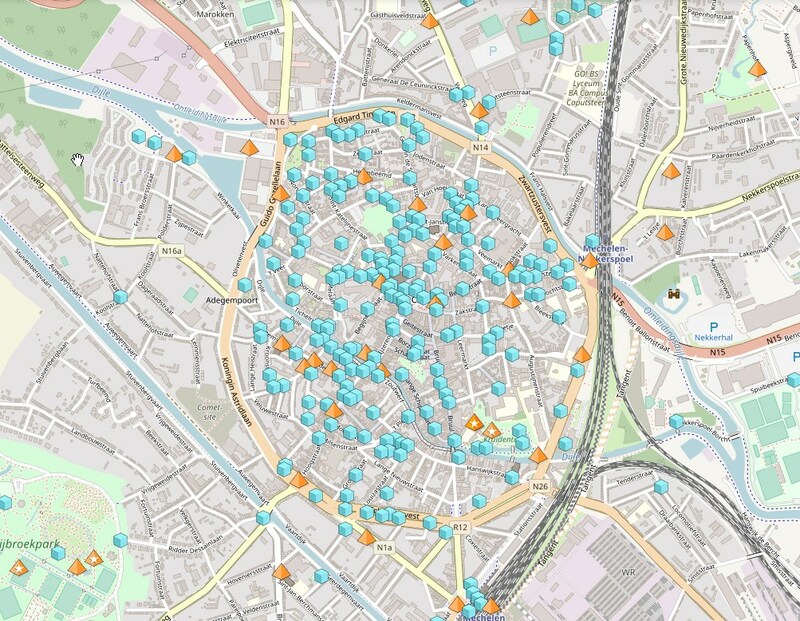 if you find any Gyms or Stop missing, please let me know via Slack#TeamChaosMechelen or via Contact form. 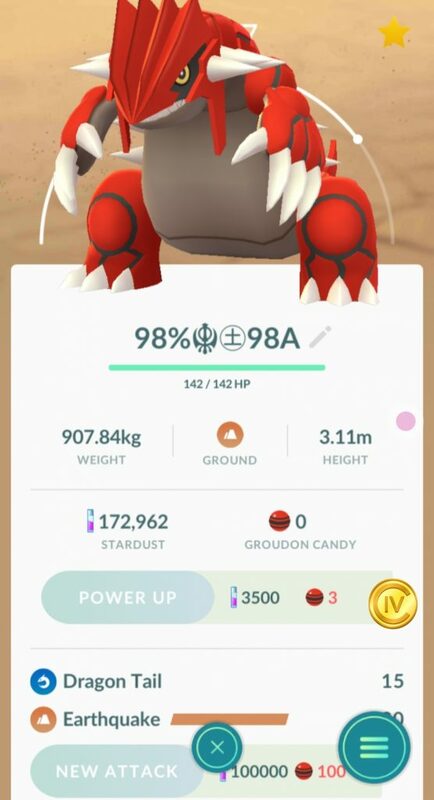 In Januari the raid bosses were Groudon & Kyogre. We did about 2 a 3 raids per day and I have caught about 12 of each. 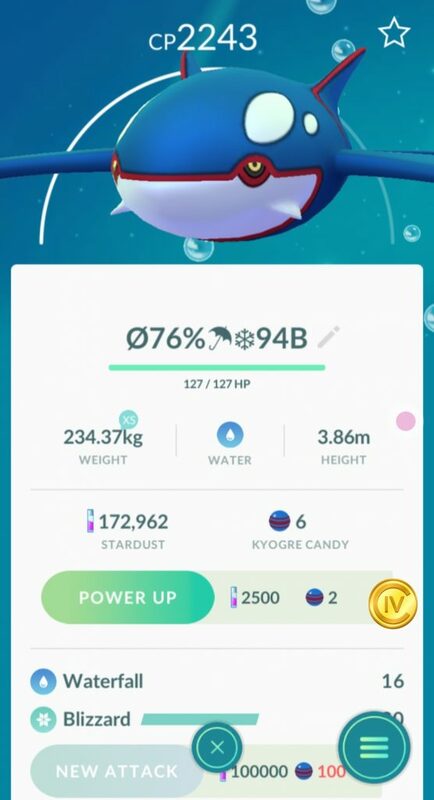 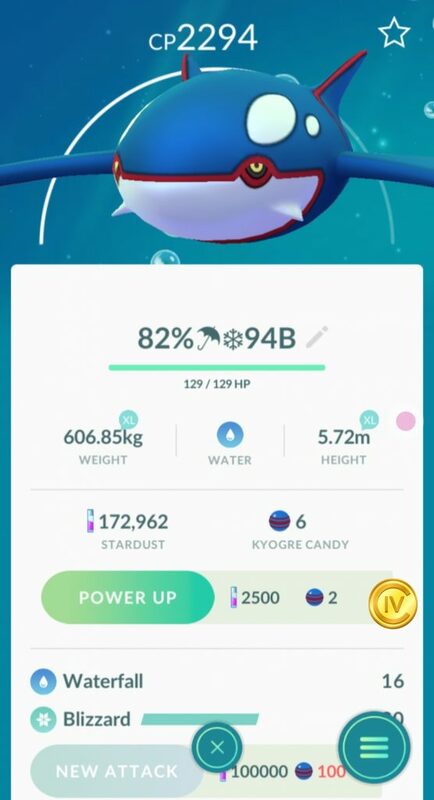 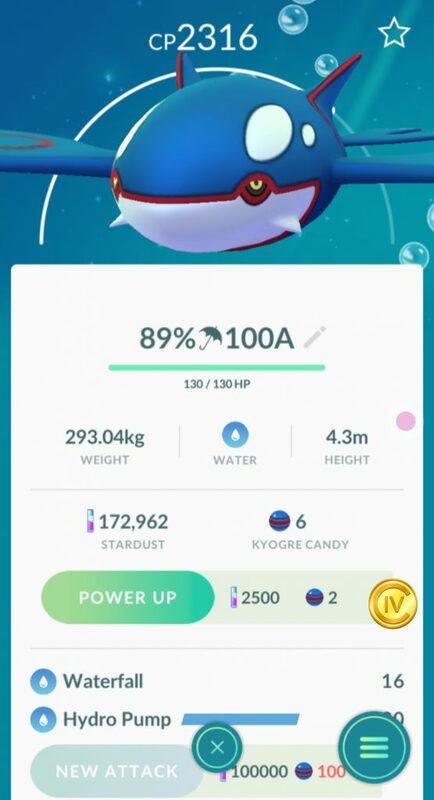 I kept all of them that were above 8o% IV and of course the shiny Kyogre. 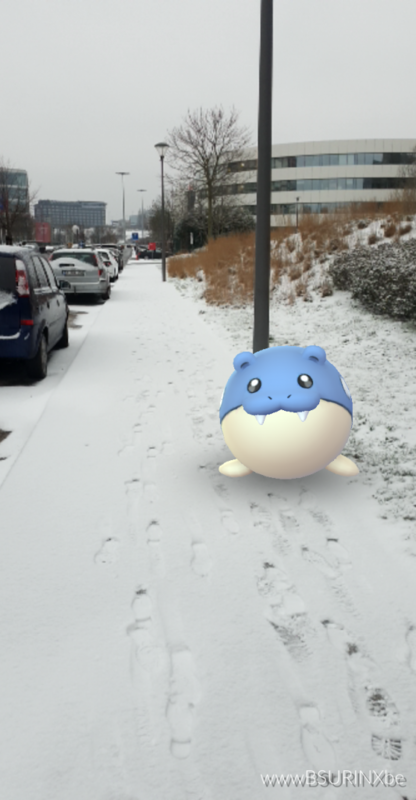 Last Tuesday we had some snow in Belgium, I thought a nice opportunity to make some Pokemon snow photo, so I took a few pictures with and without AR. 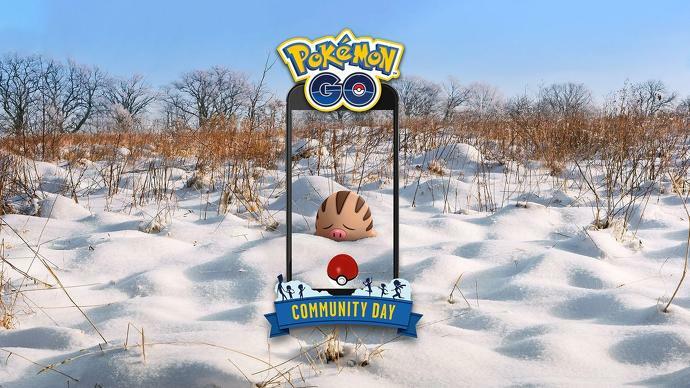 The next Pokémon Go Community Day date is Saturday, February 16th in Europe and North America, and Sunday, February 17th in Asia-Pacific. 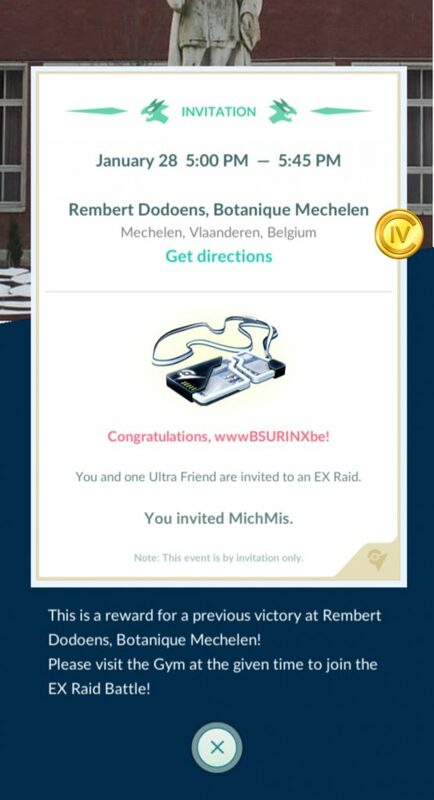 Yes Yes Yes, We got another invite for an ExRaid in the Botanique Mechelen, this time it is the “Rembert Dodoens Gym”, an the time slot is perfect 5 PM, just fits in after work and picking up Heidi. 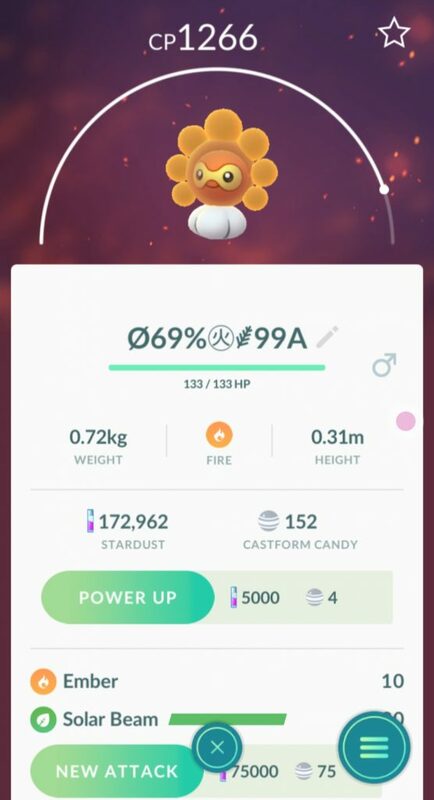 Seem that my contact form was broken for quite some time. 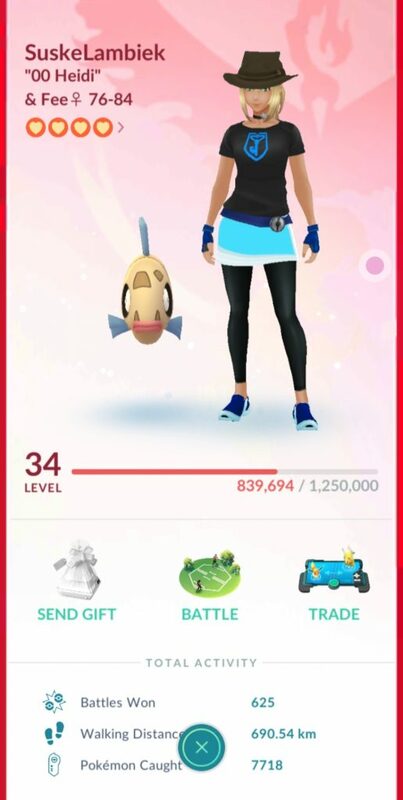 I only noticed this today, when i was looking at my Pokémon Go Friend list an saw that i have 32 friend requests pending. 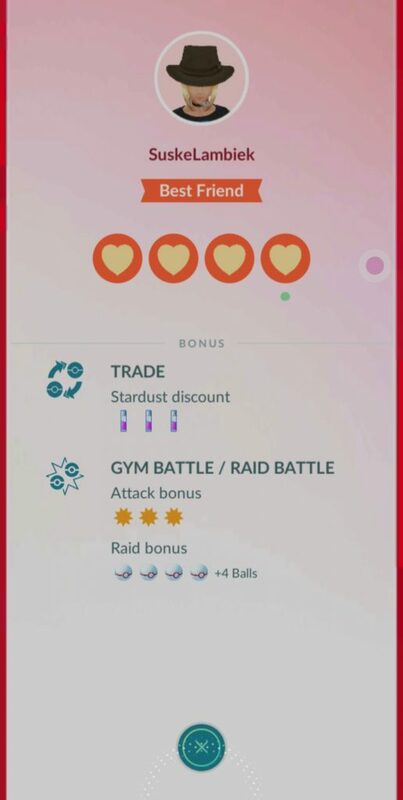 The point of this contact form was to get in touch with the trainers who added me to Pokémon Go Friend list and to align when we become Ultra and Best friend, so we could pop a lucky egg. 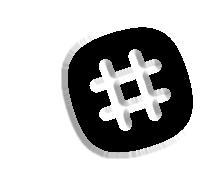 Anyway form is fixed, if you still want to drop me a line to let me know were you from etc… that would be great. 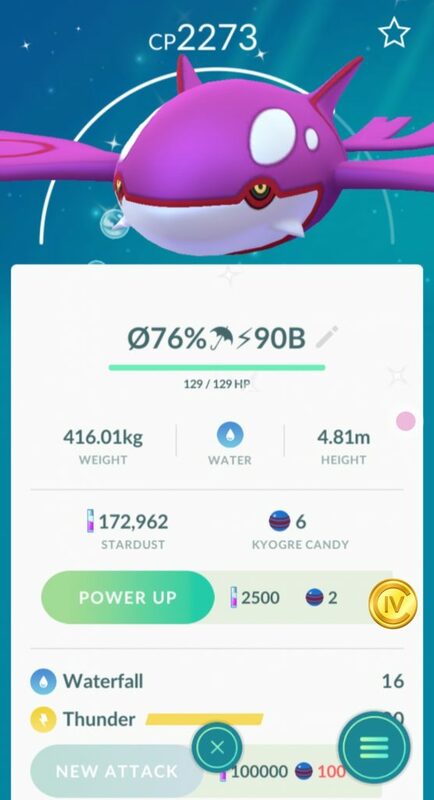 Anyway, i came across a shiny Pokémon while revieving another one and i thought lets check how many shiny Pokémon i have.